Stock Low : 23 items left. We are in love with this vintage inspired Tie Front Top from Capture, available in mustard and washed blue and a must-have for any season. 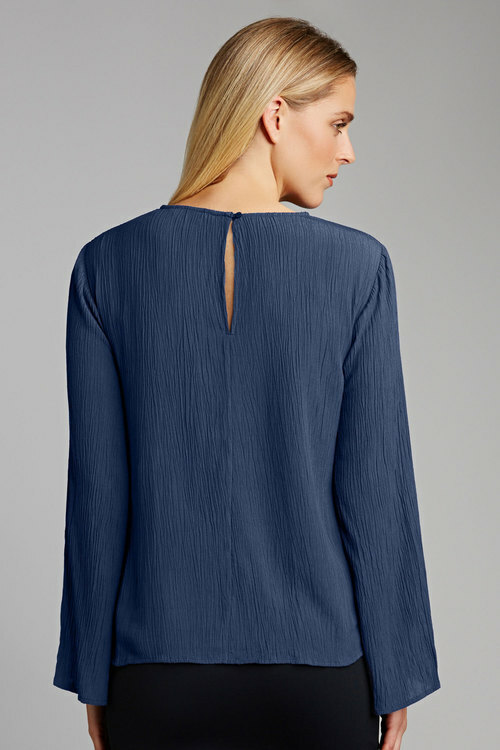 A flattering crinkle finish completes this top, adding texture to an otherwise simple silhouette and drawing the eye to the tie front detail. Pair this top with a pencil skirt and heels for work, jeans and slip on shoes for casual weekends or with a denim skirt and boots for a 70’s feel.